The guest speaker for our April 7th meeting will be Dr. Elio Schaechter. The meeting will be hosted in Room 101, Casa Del Prado in Balboa Park at 6:30 PM. 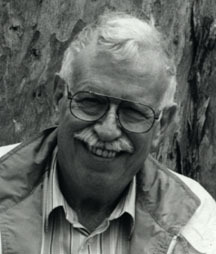 Elio Schaechter is a distinguished Professor, Emeritus, of Tufts University School of Medicine, Adjunct Professor Emeritus, at SDSU, visiting scholar at UCSD, and a founding member of SDMS. Elio is an actively retired microbiologist living in San Diego. He spent most of his research career working on growth physiology and bacterial cell organization. He has a deep love of teaching and has authored several textbooks and co-edited treatises. In retirement he is satisfying his curiosity in broader microbiological phenomena, especially those related to ecology and symbiotic relationships. His hobbies include studying wild mushrooms. Dr. Schaechter’s presentation is titled: “Mushrooms Through the Ages. A visit to various epochs, times, and tastes.” He will take us on a historical tour of how people and mushrooms interacted at different times and places. He will illustrate his talk with images that include mushrooms in paintings and other works of art. 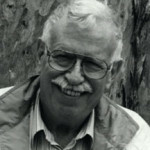 For a short account of his activities, follow Elio and associates on the Micro Blog “Small Things Considered” at http://schaechter.asmblog.org/schaechter/ as they discuss/share their appreciation for the width and depth of the microbial activities on planet earth.